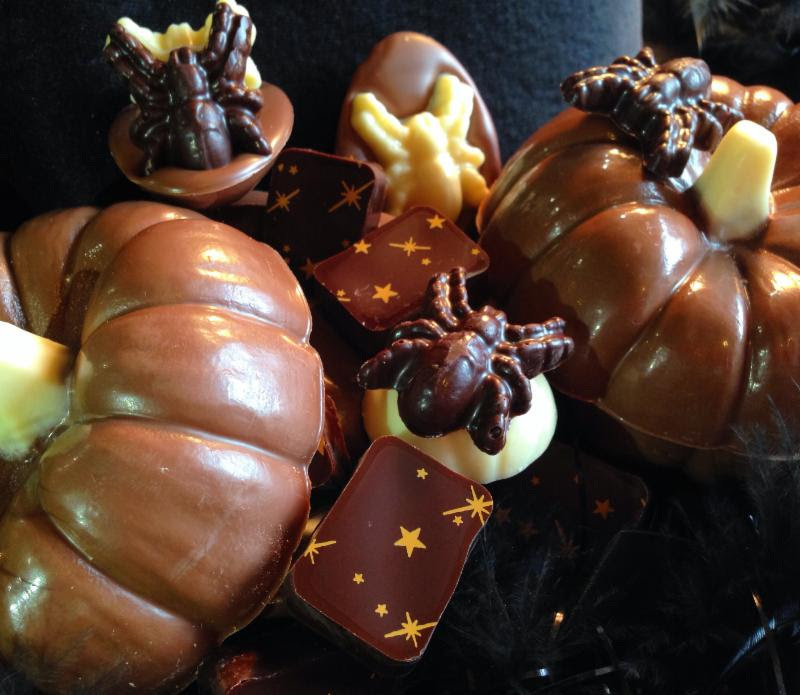 LUCY BURDETTE: Could those be the most amazing chocolates you've ever seen?? Fall-themed of course, and they come from cows on Thorncrest Farm in Goshen CT--you can actually go and meet the cows who made your milk that made your chocolate. They are called Milk House Chocolates, expensive but worth it for a special special occasion. 5. The women's basketball season is coming! How about you Reds, are you fans of Fall? We close the swimming pool, and I try to balance things--I am so aware of time going by. I know in five months, the ducks will be back. And that's great! But the time will have gone by, we're all changing and fall to me is the time that is the most poignantly apparent. But, on the happy side, I get to wear black tights again. RHYS BOWEN: Not a great fan myself. Like Hank I am growing more aware of the passing of the seasons and the ticking of the clocks and the looming of old age. Depressing, right? I am one of those people who is highly sensitive to light. If I awake to a bright sunny day and blue skies then all is right with the world. So far in California we haven't had a hint of fall yet. It was over 90 at the weekend. I did an event with Cara Black and afterward we sat outside at a restaurant until late at night, enjoying the balmy evening air. So the moment the rains hit California I become swallow-like and retreat to our condo in Arizona where blue skies are guaranteed all year. But things that I like? I do like sitting by a roaring fire, reading or knitting. I like the way the slanted sunlight paints the trees and I like the spectacular sunsets. And the smell of wood-smoke in the air. AND when the temperature drops a tad I get to wear my new outfit that daughter Jane bought me for my birthday. Winter white turtleneck sweater and cool fur vest. So not all bad after all. HALLIE EPHRON: Yesterday we took the train from NY back to Boston at twilight. It travels along the ocean and the color of those vast stretches of marsh grass--red and orange and green--made me wish I could paint. On the other hand, we're back home and our brand new heating system isn't working and it was 50 degrees this morning. I do love sweaters and warm socks and switching to our winter quilt and snuggling under it. Soups (just cut out a recipe for carrot apple sweet potato soup with curry!) What I hate is what comes next. Winter, Feh. DEBORAH CROMBIE: Oh, I adore fall. I've always said it was my favorite season--at least until I'm really sick of winter blahs and can't wait for the first signs of spring... I love the crisp air and being able to do ANYTHING outside without melting into a sweaty mess, and I especially love taking walks with the dogs. I love soups and stews and sweaters and boots and getting out the down comforter, and most of all, the smell of wood smoke in the air and curling up in front of a fire with a good book or a movie. LUCY: And ps, if I feel I need a dose of winter, I can always reread Julia’s last book, THROUGH THE EVIL DAYS, or Ragnar Jonasson’s SNOW BLIND—coldest book I’ve ever read. Red friends, how do you feel about fall? Those chocolates certainly look spectacular. Fall . . . time for soup, for enjoying the changing colors of the leaves and the logs burning in the fireplace, for appreciating the air being just crisp enough for a sweater. And, thank goodness, the end of daylight savings time. That’s definitely something to celebrate! Fall is my favourite season of the year. We have beautiful changing fall leaves. The crispness in the air makes my regular walks, hikes and cycling outings more enjoyable (i.e. not becoming a sweaty mess in the summer heat/humidity). Also, with the first killer frost (not yet although we have been at 32F a few nights already), I will be allergy-free for a few months with no new tree, grass or ragweed pollen. And I love eating fall produce (apples, pears, pumpkins) and cooking hearty soups and stews. But I don't like the shortening of the days and less sunlight...I must have Seasonal Affective Disorder. After I get over grieving the end of most of New England's fresh produce season (boo-hoo), I love fall for all the reasons others listed. Yesterday on my walk I was nearly breathless with the beauty of brilliant red leaves against a perfect blue sky. And you're right, Roberta - there's something about being inside in the evening when it's dark out and light in. I get more reading done, and it's a good time to hunker down and get more writing done, too. It's really difficult to get out of bed in the morning, though, right? When it's so cozy… And so cold out there? And isn't it funny how summer clothes seem So flimsy? Shortening of the days... I agree, Grace.7 to 7 days now instead of 5:30 to 8:30. Agree, Edith: NO MORE TOMTOES :-( And Hank, that's a good thing and a bad thing, so cozy in bed. Going now to check on whether I have any actual pairs of winter gloves. Oh Lucy, wasn't Ragnar Jonasson's SNOWBLIND excellent? I know that it is being released in January in an US edition and I hope that readers find this wonderful traditional mystery. I love Fall. I love the cool air in the morning and the evenings - with a lovely day in between. I love to watch the leaves turn. It's just never long enough and then I know the harsh winter is right on its heels. And the publishing industry - like the film industry - releases some great stuff during the season. 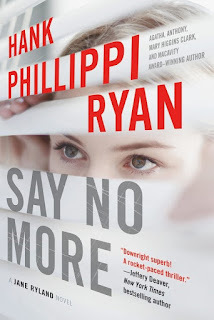 I have just recently read Hank's new book SAY NO MORE and while I will "say no more" until my review appears next week, I know that you all are going to love this novel. Another thing to love about you Jungle Reds.. not one of you has mentioned football season. Central Florida does not do fall, much to my dismay. Well not quite true as the humidity drops from 95% to 90% (today). I do find I have more energy; I walk more, trying to avoid squirrel behavior of packing on fat for a non existent winter. The charm of fall for me is the migrating birds and butterflies. We are seeing cardinals. The muscovy ducks who come to my yard are all grown. We have a small flock now. I have seen a few monarch butterflies on their trip from Massachusetts to the Everglades. Hardy insects these. Our main sign of fall, the annual appearance of the Snow Birds is not quite upon us. I have seen some early signs. A few RV's from Michigan, none from Canada as yet. Perhaps they are waiting for the end of hurricane season, which thankfully will come on November 1. Hank, I hope to get to Vero Beach unless you will be speaking closer to Tampa. Lucy come back it is safe. I promise. Hank, you're coming back to Pittsburgh. Yay! Party time and I can't wait for the new book. Fall might be my favorite season. Cool enough for a coat, but not the winter coat. The changing of the leaves. Boots. A warm fire and the smell of wood smoke - yes, perfect for curling up to read or watch TV. I'm okay with the darker mornings and it getting darker earlier. Yes, getting out of bed when it's dark AND cold can be a challenge. And like Hallie(?) said, I don't like what comes next - winter. But since I'm not yet at the stage of my life where I can become a snowbird, I shall persevere. I have a whole stack of books to help me through it! Lucy, I'm not a big chocolate eater, but I'd make an exception for those--except they're too pretty to eat! After spending all of last January in London, I decided I wouldn't complain about the length of midwinter days in Texas. I'll be glad not to spend nearly two hours a day watering plants on my deck and porch! That much more time to read--and to write. Fall has always been my favorite season, even as a kid when it meant that school came with the cooler temperatures and beautiful foliage. Every fall was a new beginning. Even today, I find the "start to a new year" feeling much stronger in September and October than in January. Fall resolutions, anyone?? Fall in upstate NY is incredible. Leaves turning, warm days and chilly nights, first fires, what's not to like? Today I'm headed for Texas and back to shorts and sandals. Don't let Deb fool you. It's still hot there. Fall is my favorite, even though I miss most of the "real" deal being in south Florida now (So we usually go to Maine for a long week in October. This year we are missing that because we have a delightful new granddaughter at home). In high school they had a mixer where we all filled out some crazy questionnaire about likes and dislikes. Only one other person had put fall as his favorite and he was someone I wanted to avoid! Oh, good grief, I can't believe I missed chiming in. I love fall. I love the change of temperature, the colors, the smell of woodsmoke in the air and the first woodstove fires of the season. I love the way the lower southern-tilted sun leaves long shadows and a particular golden light up here in the Northeast. I love stews and soups and the emerging root vegetables - I've done three slow-cooker meals in a row this week! I like my change of seasons - the sense that time is a wheel, always circling around. There were glorious New England falls long before I was born, and they'll continue on long after I'm gone. I don't like fall or winter. I don't like the darkness. I don't like not feeling warm enough again until late May. I don't like needing to wear (or buy) extra layers of clothing. I don't like the absence of flowers, of green leaves, of my favorite shorebirds. Last year I dressed up as The Death of Summer for Halloween! Lucy, I just read Through the Evil Days out of order of the series because I had to escape Florida heat. Julia, it was a spectacular read - and I also thank you for the breath of winter. I'm still laughing about the fishing hole, though. I won't say anymore but if you've read it, you know! I can't wait to go back to Maine. On our property, we have one sugar maple that grows a branch out from the cut trail. I can see it from my kitchen window - it goes red first for some reason. A good two or three weeks before any other tree changes. It's my harbinger just as the crocuses outside my mudroom door are for spring. Love Fall -- love the colors -- the leaves, the clothes, and the feeling of new beginnings -- for me much more so than January 1. I think it is the academic calendar so firmly set in my brain! The summers are getting too hot for me lately (even in Massachusetts!). Not looking forward to winter, though. I looked yesterday at the curb where my car is parked and asked myself how I can make getting to the car more possible when the snowbanks appear. Oh, I so love fall! 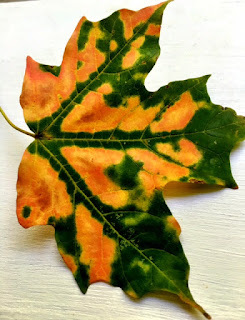 It is my favorite time of the year with the variegated leaves and the cool temps and the hot soup and Halloween. I am a Halloween nut, even decorating my house for it. My teenage granddaughter visited last weekend, and my younger one will be here tomorrow, and they always enjoy Grammy's Halloween decor. Every year I think I'm going to have a Halloween get-together with friends, but it seems there isn't a space I can fit it in. My husband and I are going on a wee train trip next weekend for our 40th wedding anniversary, taking the train from St. Louis to Kansas City. I'm looking forward to some fall foliage views. Denise, I have the same fall association with academics. From my early school days, I remember being excited about fall and the beginning of a new school year and new clothes and new classes. Of course, that's when school actually started in the fall and not in the summer. We all have place in time memories that stay with us, and one of mine is being in the car with my older sister driving past a certain point, looking at the fall scene of changing leaves, and feeling safe and warm and happy that it was fall and school time. I think I need to go cook something fallish today. I do wish our leaves were turning a bit more though. Fall is my favorite season. It's a time of reasonable temperatures. Warm days. Cool days. But no hot days. Beautiful fall colors in the trees. Kids back to school. We usually get our first real norther in October. We get the color change in November. The poor kids get school in August. Too bad we can't get coordinated here in Houston. Deb Romano, I need to see how you made that costume. Sounds great. Fall is my favorite, followed closely by spring. Sweaters are my favorite articles of clothing, followed closely by thick, warm socks. Alpaca, if possible. One of my all-time favorite evenings would be spent with my husband in front of the fire, with a bowl of homemade soup, homemade bread, and some hot cider, with or without bourbon. Add some great music and a book and I'm in heaven. Boots are good, and more scarves, and snuggly outerwear. Karen, sorry to reply so late, but I had to work late and then had an appointment. Just finished dinner. Anyway, I don't make costumes so much as throw things together that I have around the house, and maybe spend under ten dollars for anything I must purchase. For The Death of Summer (which I wore to work) I bought, at greatly reduced prices, some autumn leaves garlands at either Michael's or AC Moore, and draped them over my shoulders like a shawl. For my head I made a sort of crown with a garland of fall berries. I wore a rust colored turtleneck and brown pants. I also bought some loose fake autumn leaves and taped them to the outside of my desk. I wore spider earrings-spiders seem to love to hide in leaves! And I drew a tombstone with the epitaph "R. I. P. Sweet Summer" and hung it near my desk. When I got home from work that night I decorated my living/dining area with the leaves and garlands! I really got my money's worth! I do something different for Halloween every year; often, I dress up as a "concept", which and my coworkers like to try to guess what I'm supposed to be! Very clever, Deb! Thanks for taking the time to describe it. My favorite thing about fall is the end of lawn mower season! Let the last of the leaves cover the lawn and leave them there all winter. After the snow melts the grass will be nice and green when I mow the first time in spring. Coming in at least a day late...Fall and Spring are my favorite seasons because they are seasons of change. Winter and Summer stagnate...same cold, same snow, same heat, same humidity day after day. Fall and Spring: daylight shrinks or grows, growing things go from green to colors to brown and then the other way. Rich harvests, rich earth with little shoots. The only thing that gives Spring the edge as a favorite: no wood smoke smells -- ugh, I must have spent too much time near smoky camp fires that gave neither heat nor light.